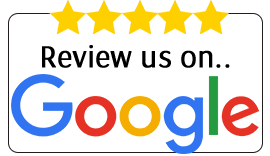 Besam VersaMax Telescopic Touchless ICU/CCU sliding doors with automatic operation eliminates the need to touch a door for opening and closing. 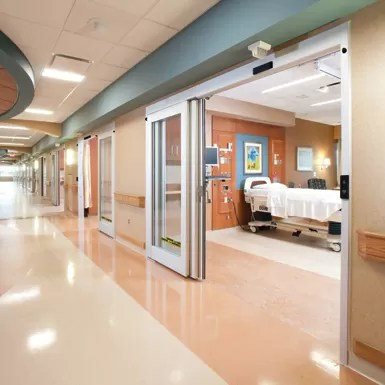 By conveniently automating the functions of the door, the Besam VersaMax Touchless provides the ultimate in convenience and infection control for ICU, CCU, isolation rooms, and other interior sliding door applications. In critical hospital environments, the demands for safe, efficient patient care require versatile products, a wide array of features and configurations with unsurpassed reliability. 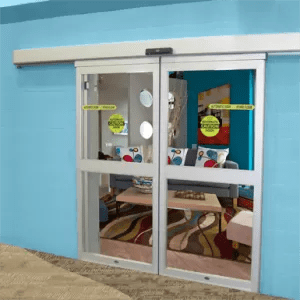 The Besam VersaMax Touchless ICU/CCU sliding door with automatic operation eliminates the need to touch a door for opening and closing providing ease of access and eliminating the need to touch door handles. 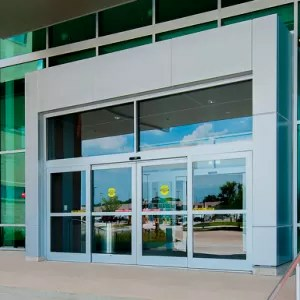 By conveniently automating the functions of the door, the Besam VersaMax Touchless provides the ultimate in convenience for ICU, CCU, isolation rooms, and other interior sliding door applications. 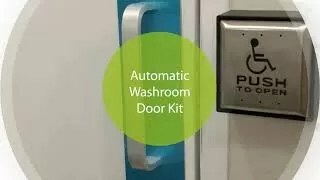 Besam VersaMax Touchless opens automatically through your choice of jamb or wall mounted activation device, and closes automatically to provide hands-free convenience and accessibility while significantly reducing the spread of germs and bacteria transmitted by door contact. 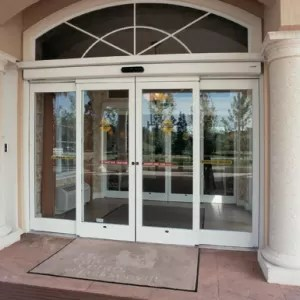 With UL1784 smoke rating certification, electric positive strike retraction and equal leaf design providing the widest clear door openings in the industry, this door system also offers a variety of additional features to help facilities provide a safer, more secure environment.